Established in 2009, Tatami Fightwear is a brand that prides themselves on providing the best quality of service to the public. Since their emergence Tatami has answered the calling of many by providing their consumers with the best quality in BJJ equipment at prices they can afford. This profitable tactic has allowed Tatami to build a great reputation across the globe which has made them a powerful force in the Brazilian jiu-jitsu community. Hoping to continue with the stream of success, the company has unveiled their new product in the form of the Estilo 3.0 BJJ Kimono. Transitioning into a new direction, the Estilo 3.0 gi is a stylistic change for the company. Striving to always make their products better than the last, Tatami has made some modifications to the new design. [social][/social]Quality: The Estilo 3.0 is a perfectly designed and well-constructed BJJ uniform that troubleshoots all areas of toughness and stiffness that a buyer may experience when wearing the model. The jacket is made out of a light pearl-weave fabric material that is built with triple stitching in important stress zones and other areas that help keep the panel of jacket together. 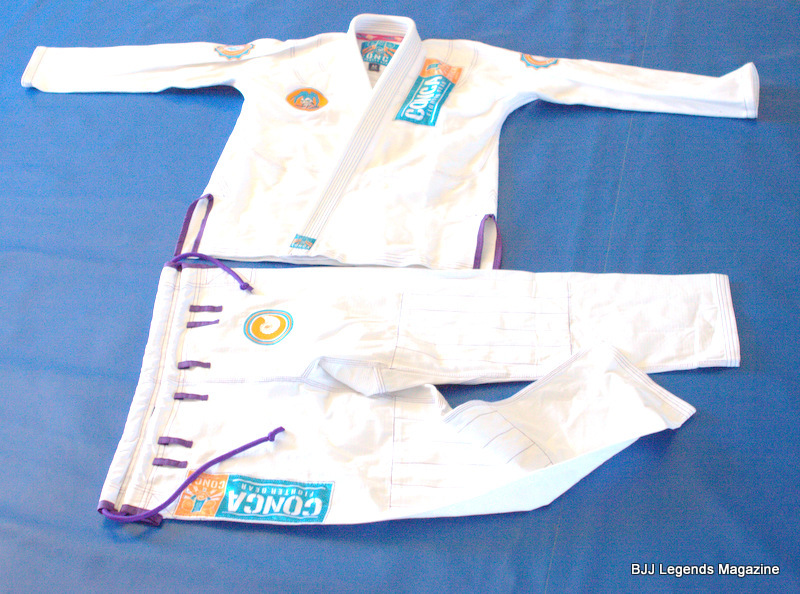 In addition, the collar of the jacket is made out of canvas material which assists in tackling those brutal grips handed out by your opponent on the mat. The uniform pants are made out of a very light 12oz canvas cotton material which makes it easy to move around in without feeling like you gained an extra three pounds below the waist. Like the jacket, the pants cover all stress zones from the crouch area, to the ankle, to the knee portion of the fabric thus keeping the item in perfect working condition. While most kimono pants carry a double loop to tie the pants, the 3.0 models are equipped with 4 looping panels which offers a high volume of extra tightening on the left and right side of the waistline further decreasing the chances of your pants falling off while training. Design: Highlighted for its originality yet unique presentation, the Estilo 3.0 is a kimono that far exceeds previous models produced by Tatami. The standout feature of this gi would have to be the matching color scheme. Notice how the black, white, and red Tatami logo blends well with the black stitching of the uniform. This alteration not only shows how well Tatami can construct a great gi but also displays their ability to make a distinctive fashion statement in their products. In association with the logo embroideries, the company’s banners are placed in every convenient sector on the jacket and pants that are IBJJF approved which makes the kimono usable for in-class workouts and competition purposes. Besides the small Tatami patch located at the bottom of the kimono, the back of the jacket is left blank which enables the buyer to paste their academy and sponsor logos on it. Size & Shrinkage: Ranging from A-0 to A-5 the Estilo 3.0 size chart can vary depending on your weight and height. Nevertheless no matter what size uniform you purchase when wearing it for the first time you will notice the jacket’s wingspan and sleeves are a slight bit long and the pants seem to have a lengthy amount of space for you to move around in. 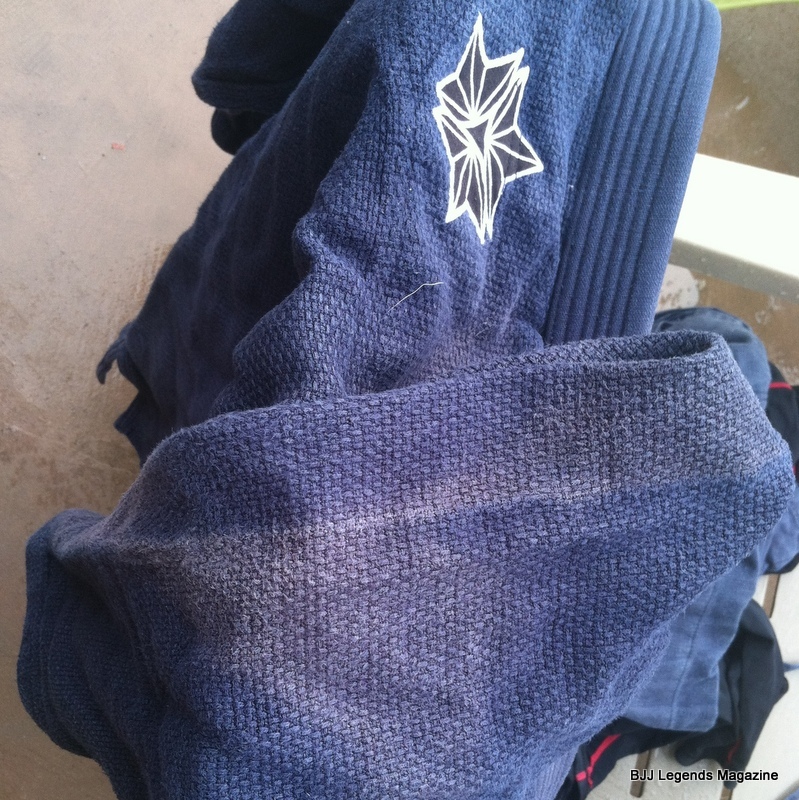 When placing it in the washer it is recommended washing the uniform by itself at warm degree temperature and hang drying it afterwards. The wingspans of the jacket and pants does shrink by a small percentage, however with the Estilo 3.0 being Pre-Shrunk certified the uniform will still maintain the majority of it appearance after it is completely dry. Conclusion: After thoroughly testing the uniform and examining its full components, it is safe to say that the Tatami Estilo 3.0 kimono is the perfect product for any Brazilian jiu-jitsu practitioner. With a comfortable uniform to wear in addition to being highly fashionable you would think that this Tatami model would be an expensive product to purchase, on the contrary. Valued at the affordable price of $135, the gi is a great purchase option for any buyer hoping to save money while enjoying the benefits of owning a top quality gi at the same time. With the kimono already doing well on the market retail since its release, it is no coincidence why Tatami Fightwear continues to be one of the standard bearer trendsetters in martial arts products. Staying one step ahead of the competition the company hopes to continue their winning strategy and with the release of their special edition Honey Badger Kimono on the horizon, it only leaves customers on the edge of their seats waiting to see what Tatami Fightwear has to offer.